This lovely color will illuminate every corner of your garden. Soft lime green blooms nod above traditional blue-green foliage, creating an elegant display as a specimen or en masse. Plus, the fully double, spurless blooms eventually turn to a clean white, creating even more interest both in the garden and in the vase. 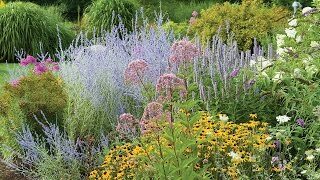 Tidy, clump-forming plants require little or no maintenance. Columbine may be grown from seed sown early indoors and transplanted outside after frost, or sown directly in the garden, or grown from potted plants. Columbine will germinate best if sown in seed trays or pots and chilled (refrigerated) at 40 degrees F for 3 to 4 weeks. Columbine will germinate best if seed is pre-chilled for 3-4 weeks at 40 degrees F.
Choose a location in full sun or part shade with moist, organic soil. Sow in spring to early summer. Sow evenly and thinly cover with ¼ inch of fine soil. Seedlings will emerge in 22-30 days. Thin to 10 inches apart. Select a location in full sun or part shade with good rich moist organic soil. Dig a hole, approximately 10 inches apart, for each plant large enough to amply accommodate the root ball. Do not deadhead unless you want to eliminate self-sown seedlings. Taller cultivars may need staking. Columbines are lovely for borders and excellent for naturalizing woodlands. The blooms make good cut flowers, and the seedpods make interesting additions to dried arrangements. Compact cultivars may be grown in containers. Columbine, Lime Sorbet is rated 2.8 out of 5 by 5. Rated 5 out of 5 by Julianna from beautiful flower! These can be a bit pesky to germinate but once they are established in the garden, they are so lovely! Mine are in full sun and come back stronger each year. It is the most beautiful Columbine of all, in my opinion, and they make for gorgeous cut flowers. The buds are a soft lime green but continue to turn more and more white as they bloom, providing excellent visual interest in a vase by themselves or with other cut flowers. Rated 1 out of 5 by jrzygrl from Poor germination I bought several varieties of mixed columbine seeds (see other reviews) for my "formal" garden, which has good soil and is watered regularly. Now, in July, I have only a few tiny seedlings. Oddly enough, the cheap seed mix that i picked up at the box store and scattered in the field have sprouted and look healthy. Doubt I'll be throwing my money away on these again! Rated 1 out of 5 by smcc from Rabbit Food Bought 1 plant last year hoping for pest-resistant flowers this year. It did grow, but the rabbits thought it was delicious. Nothing but stems left on it. Rated 5 out of 5 by abby from One of my best plants This has been a wonderfully successful flower in my garden. It is very hardy, one of the first plants up in the spring. The leaves are very pretty even when it's not blooming. The nodding blooms are very pleasing. It self seeds readily but not to the point of being invasive. Love this plant! Rated 2 out of 5 by Mxstressica from Didn't do well The seeds germinated, but the seedlings are extremely delicate. They did not transplant well and died within a short time. 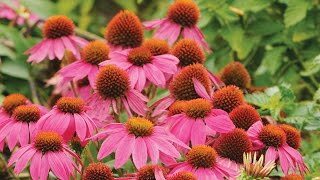 I may try to grow them again this year and purchase the plant instead of the seeds, or try direct-sowing them into the garden instead of starting the seeds in a tray and transplanting them.